A Delaware corporate court has granted a temporary restraining order that prohibits Cigna from terminating its merger with Anthem. The court will schedule a hearing the week of April 10 to review both sides of what has become an incredibly messy divorce between the two health insurers. Cigna sued Anthem this week after a federal judge blocked their transaction. Cigna demanded the $1.85 billion break-up fee as well as $13 billion in damages. 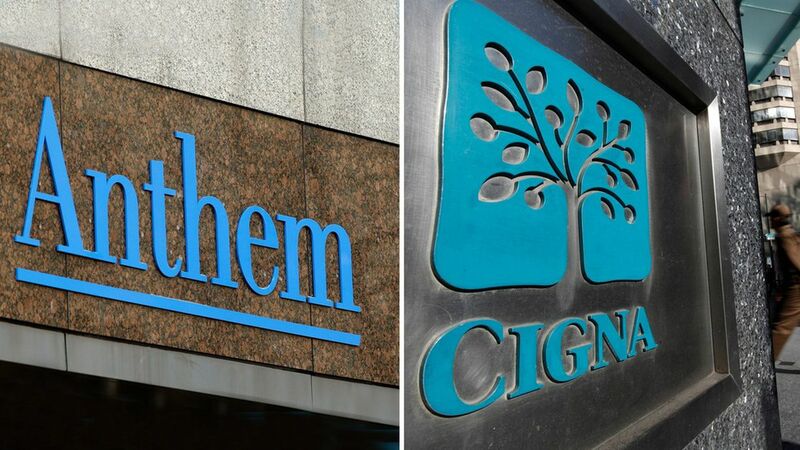 Anthem countered with its own lawsuit, and took Cigna to task with pointed examples of how Cigna "sabotaged" the deal. One of Anthem's most interesting claims: Cigna did almost nothing on the back end to help combine the companies and refused mediation that was suggested by the court. What to look for: Anthem's proposed $54 billion acquisition of Cigna has been tumultuous from the start, and now it's a bloodbath. Anthem is still pursuing an expedited appeal, believing the deal can be completed, although most antitrust experts believe otherwise. This court case may come down to how much Anthem will have to pay in the break-up fee. Analysts have said Cigna may have a difficult time getting the other $13 billion.